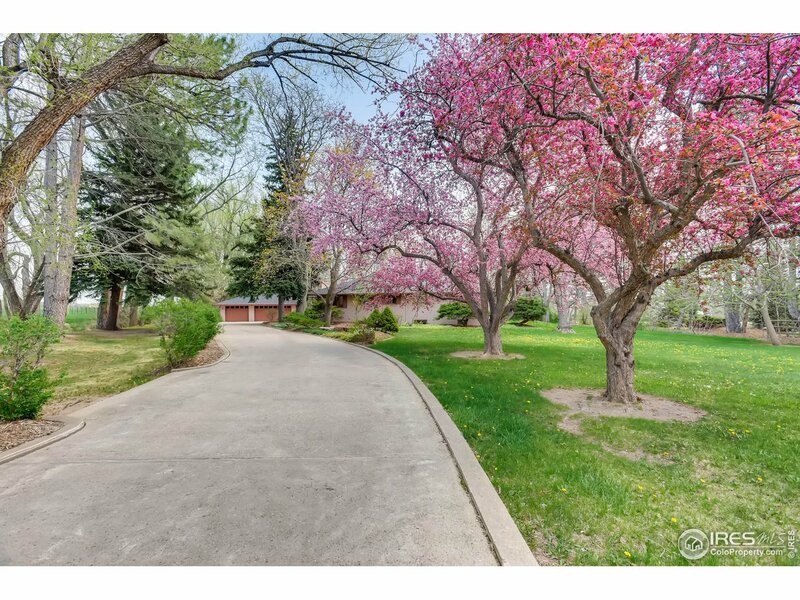 All Longmont homes currently listed for sale in Longmont as of 04/25/2019 are shown below. You can change the search criteria at any time by pressing the 'Change Search' button below. 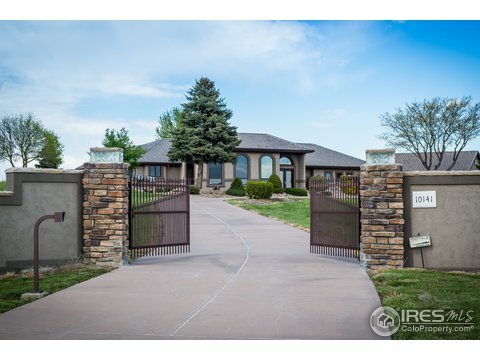 If you have any questions or you would like more information about any Longmont homes for sale or other Longmont real estate, please contact us and one of our knowledgeable Longmont REALTORS® would be pleased to assist you. 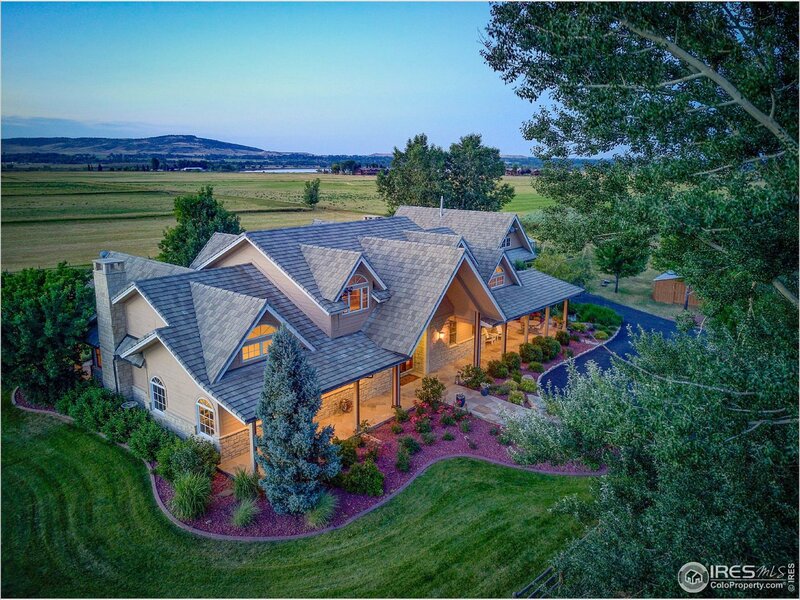 "This listing combines two adjacent spectacular properties to create an offering unsurpassed within Boulder County. The elegant main house is defined by its timeless French Country design & boasts 9,401 SF with 5 BR & 7 BA. See 10815 N 49th for additional details. 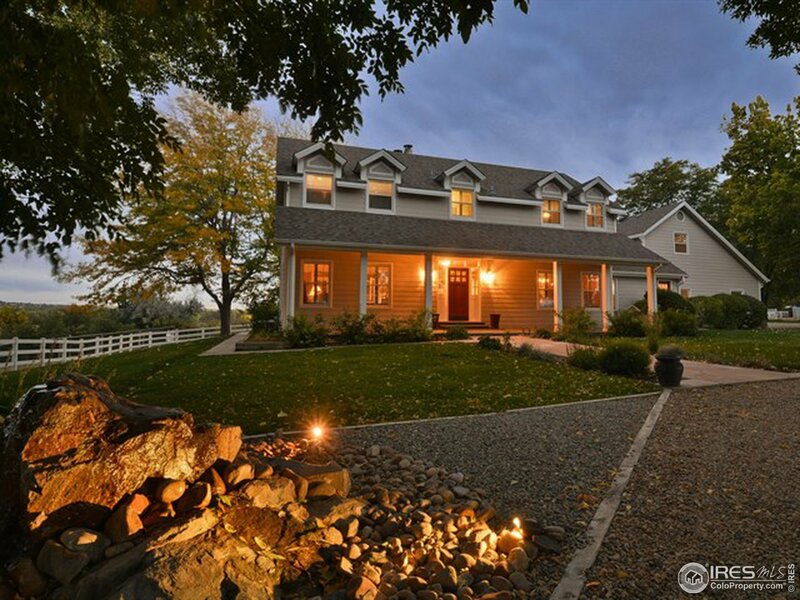 The Prairie House compliments with 7,730 SF including 3 BR & 2 BA, set on an additional 35 acres. All within a stunning private setting just minutes north of downtown Boulder, bordered by 1,000 acres of dedicated open space." 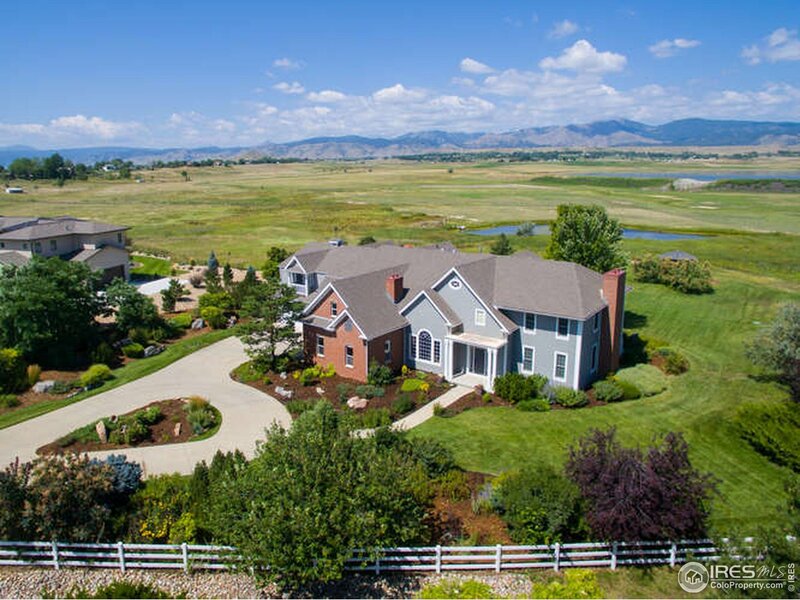 "Perfectly set on a pastoral 35 acre parcel, overlooking over 1000 acres of dedicated open space with the Flatirons as backdrop, this elegant custom-crafted home is reminiscent of a classic French-country estate. The home was built using only the finest materials, with the utmost attention to detail and quality. 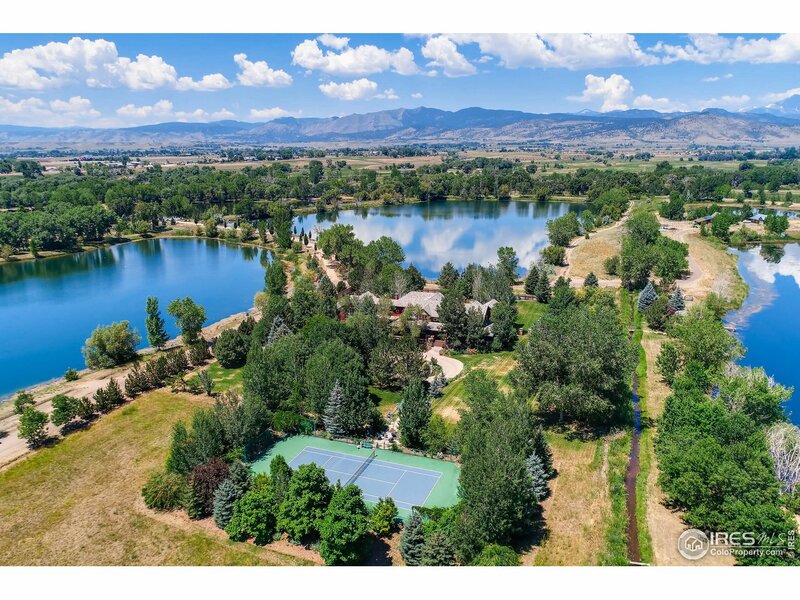 Surrounded by nature, enjoying everything that makes Colorado special, and situated only minutes from downtown Boulder, the location could not be any more ideal." "Years in the making, it started with a dream, imagine waking up to a red sky on the mountain backdrop, light breezes across the waving tall grasses. Life as it should be, Western, fresh, free. 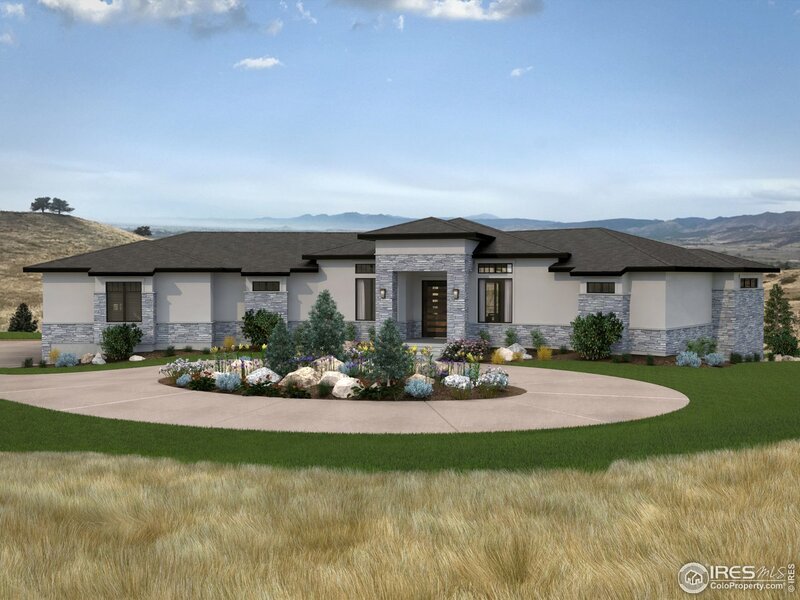 This ranch is only minutes to Boulder , featuring an exquisite new home, built green, and build your routine with generous entitlements eligible for barns, horse arena, greenhouses, bunk house. 1.1 CFS of water rights, gardens, trees, small lakes. Homesite allows additional residential expansion." "FAMILY COMPOUND! 6610 and 6690 Rabbit Mtn Rd. are being offered together providing 2 homes, a 6 stall barn, total 48 acres surrounded by open space with amazing views. This property is being sold as part of a package listing along with the home on MLS #866080 for a total price of $6,000,000. 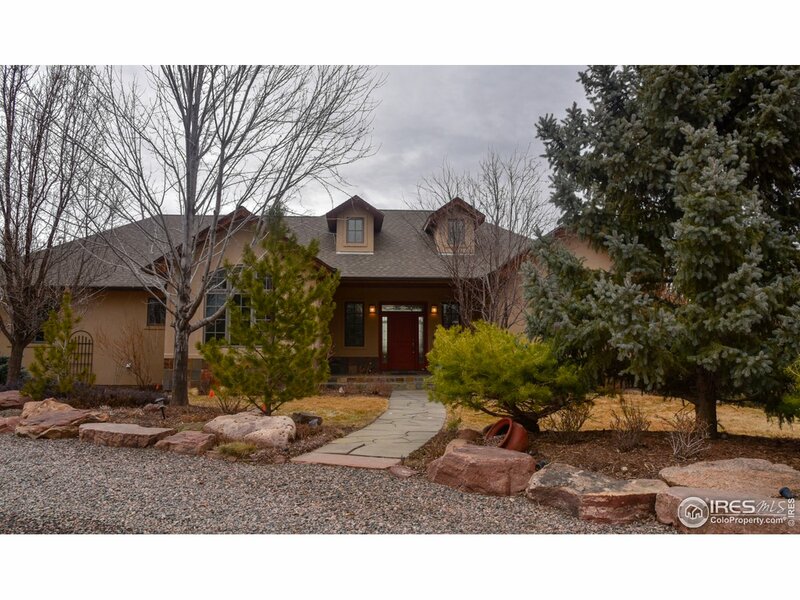 The information in this listing is for the smaller house and barn which is only available as a package with 6610 Rabbit Mtn Rd. This is a quality estate suitable for the most discerning buyer." 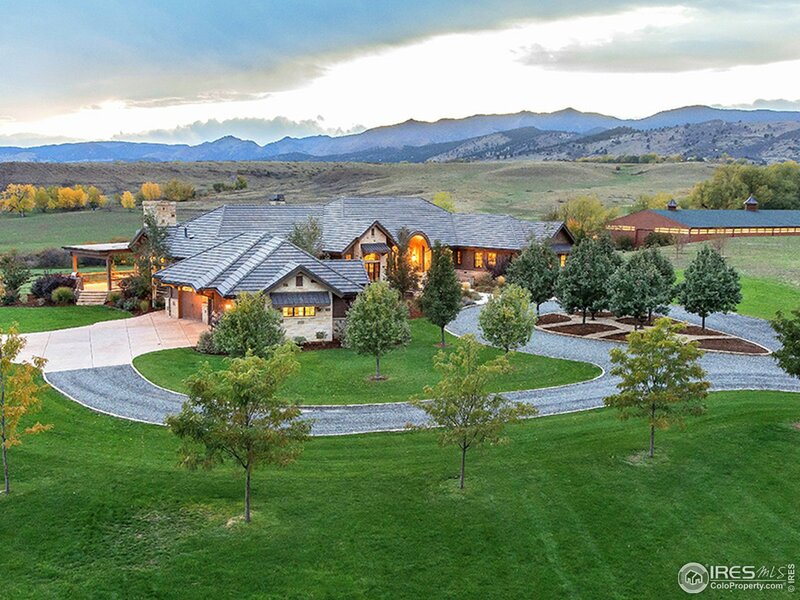 "This sprawling estate surrounded by water captures the essence of Colorado Living with Longs Peak & Mount Meeker views, endless on-site recreational opportunities & high-end custom finishes around every corner. With nearly 9,000 sq. 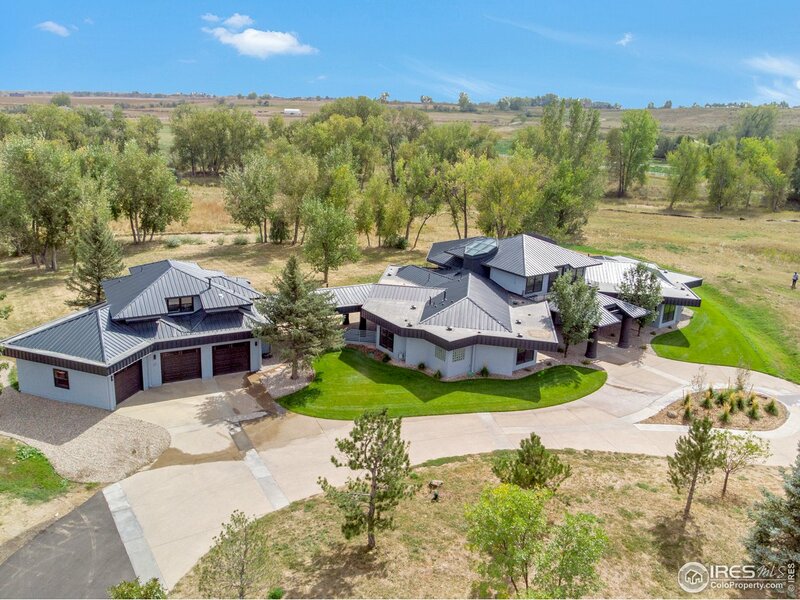 ft. of cozy living spaces and 14+ acres of manicured & professionally landscaped areas, this estate offers a unique opportunity to be close to all of Boulder's world class entertainment while also enjoying the seclusion of upscale, privately-gated country living." "Direct views of Mt. 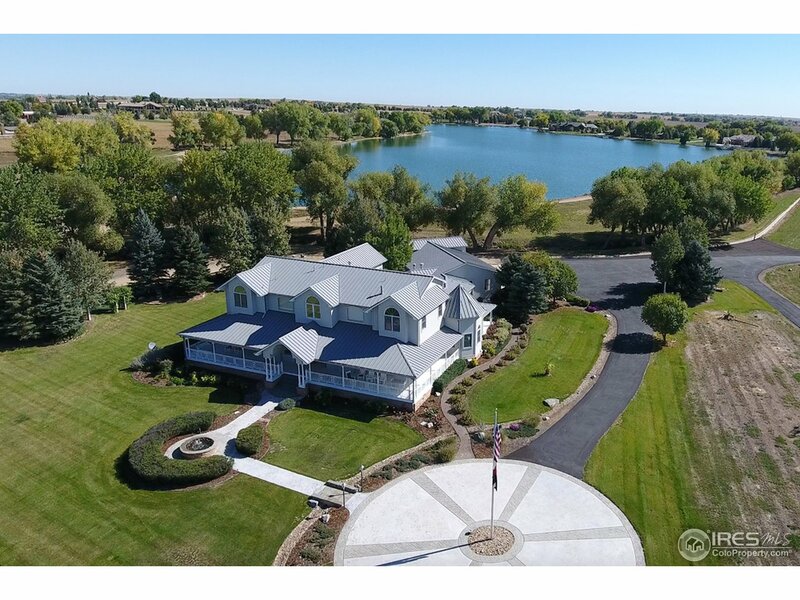 Meeker and Longs Peak, and outstanding rural property, landscaped, irrigated farm with 40 acre lake, your own private dock, cattle handling facilities, hay production, executive style improvements in a country setting." "Breathtaking views of Boulder County's valley and mountains from this magnificent home!Luxurious features throughout - game room with full bar, mahoganny walled library with wet bar and fireplace, 2 level master suite with wet bar and private patio, 2br/2ba guest quarters, radiant heat walnut floors, 4 fireplaces, wine room and more~! 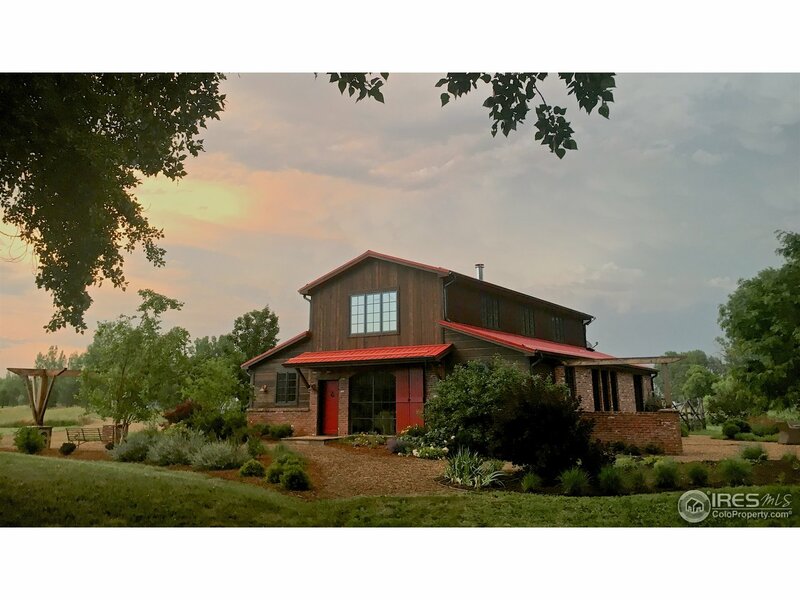 Rustic barn and multiple outdoor living and entertaining spaces. 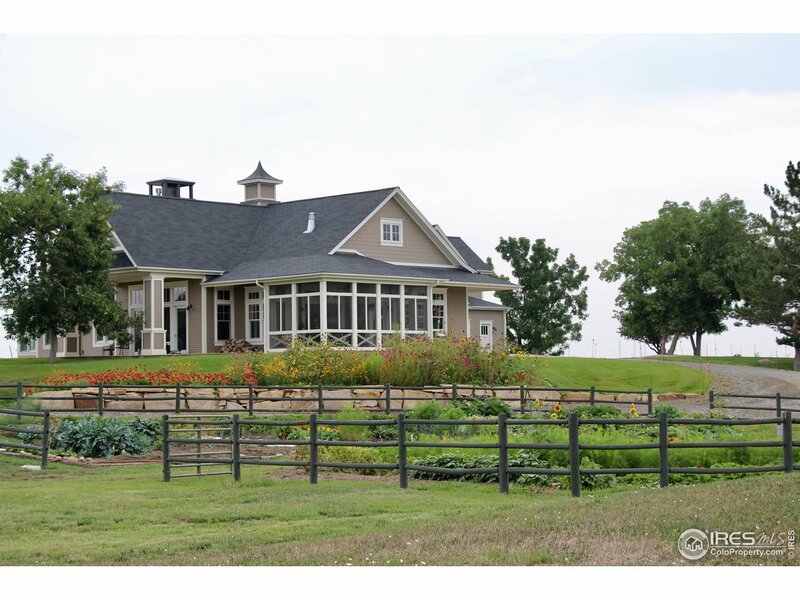 Special opportunity to also add a 2nd home and gorgeous 6 stall barn for a total of 48 acres." "Custom designed- and built to suit local conditions, this executive home on 40 acres provides the perfect place to bring up a family and entertain friends. Colorado-inspired finishes and space and amenities needed to cater to all tastes. Gourmet kitchen, formal dining room, bamboo floors on the main level, and in-floor heat throughout. Private balconies and covered porches to enjoy both mornings and evenings. Fabulous outdoor areas. Heated workshop, barn, with hay storage, sheds and irrigation." "This historic restored 100 year old barn comes w/the most exquisite contemporary farm house incorporating orig 1900's farm house into new 2008 architecture w/radiant heat;new custom greenhouse w/GAHT earth cooling/heating;outbuildings;veggie/flower gardens;abundant hay;35+acres bio-dynamically treated;no herbicides/pesticides used last 6 yrs;multiple water sources=2 shares-Supply/Sub-irrigation/Longs Peak;3 active ditches run thru property. New roof & new ext paint 2019. Qualified Buyers Only." "Retreat to this private estate with unobstructed views. Blending luxury, tranquility & natural beauty. This gorgeous home makes a commanding first impression that harmoniously embraces 5 acres of majestic outdoor settings. Horse property w ultimate privacy. This well-crafted 6,000+ sq. ft. home features 5BD/6BA, a gourmet kitchen, home office, walls of windows, rolled travertine tile, vaulted ceilings, arched beams & large art studio. 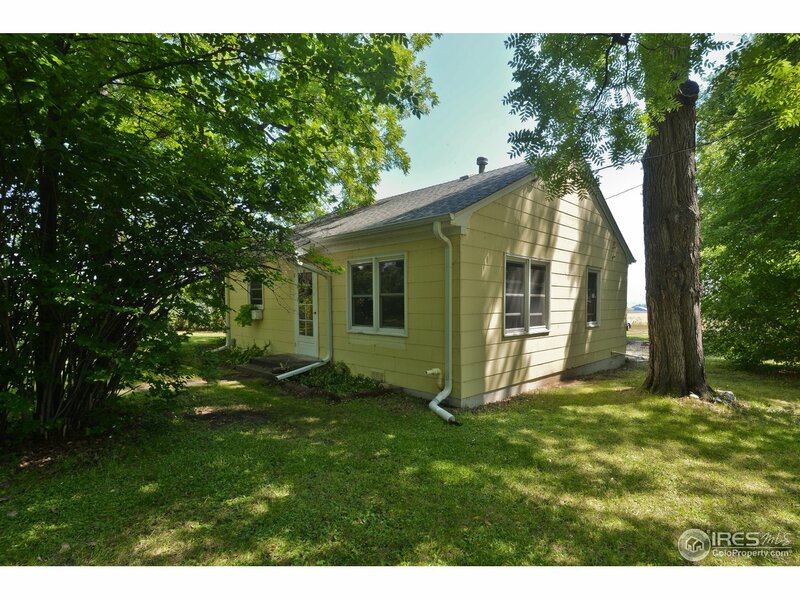 Close to hiking, biking, horse trails & amenities." "Twin Pines Ranch is one of the finest properties along the front range & one of the last remaining 35+ acre buildable parcels in Bldr Cnty. 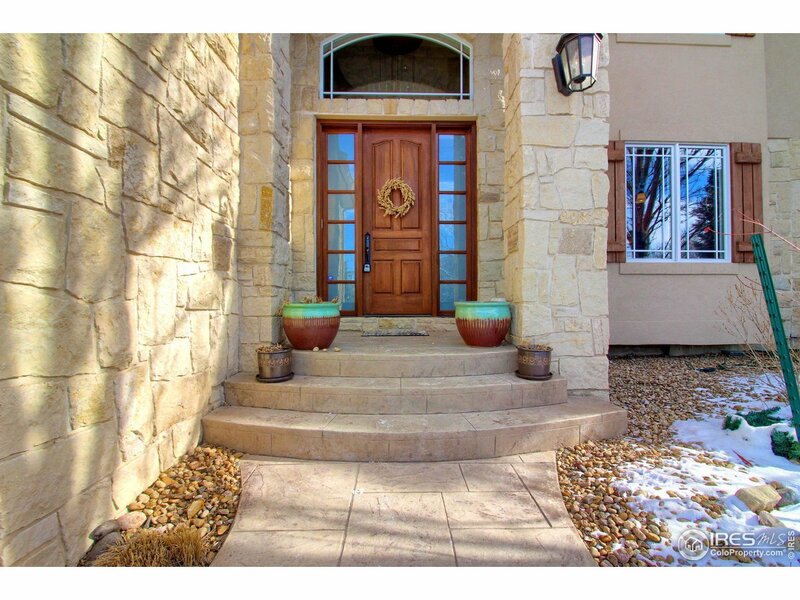 Enjoy views of the Flatirons, Pikes Peak & plains all the way to DIA. Bldr Cnty has designated the land as one of the most biologically diverse & highest-value ecological areas of the county & home to elk, deer & other wildlife. Skillfully crafted home w/attention to craftsmanship, design & green construction with limited ecological impact. HERS rating=0"
"First time on the market in 80 years. Close to Boulder and Longmont. Located SW of Longmont and N of Boulder. 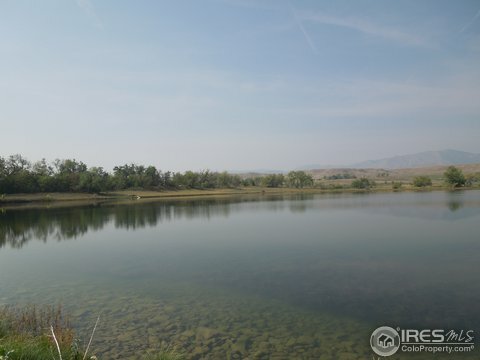 113 acres including 14a PRIVATE lake (containing approx 90 ac/ft) with great fishing. Idyllic setting surrounded by farm land. Beautiful building site overlooking the lake and mountains, the perfect setting for your dream home. Owner will transfer all mineral rights currently owned. Not encumbered by conservation easement. Contact agent for more information"
"Horse Property Mt Views Fenced 6 ac,Covered wrap around porch, 7 stall barn, tack, storage, 5 runs, paddock,outdoor arena, 3 pastures,fenced, New interior paint, new roofs House & Barn. Rose garden, circular drive, dog run, oversized 3 car garage with attic storage,large entertainment west deck with covered wood fireplace and SS gas grill. Gourmet kitchen,formal dinning,living, family.Leaded glass doors, 1stfloor master mt views from steam shower.Lots of light.HOA Irrigation water rights." "Spectacular Equestrian Property! Working breeding ranch. Fenced Pastures with heated auto waters, immaculate heated stables, Stables equipped w/foaling stall, breeding stall and auto light timed stalls. Irrigation water on site. Beautiful home w/separate A/C for upper level. Master bath refinished w/steam shower. Home has many great features! Back patio excellent for entertaining. Built in BBQ. Gas fire pit. Water features. Secluded property with easy access to town. Too many amenities to list"
"Designated Centennial Farm! Irrigated farm property west of Terry Lake on SW corner of Woodland Rd and N. 87th St. Farm house is leased, please do not disturb tenant. No conservation easements on property. Water rights not included but available for separate purchase: 2 shares of Highland Ditch Company, 8 shares of Lake McIntosh Reservoir Company. Property is sold in AS IS condition. Personal property of Seller and tenant excluded.Please schedule showings with 24 hours notice to tenants." "WOW is all you can say about the views from this spectacular country home! 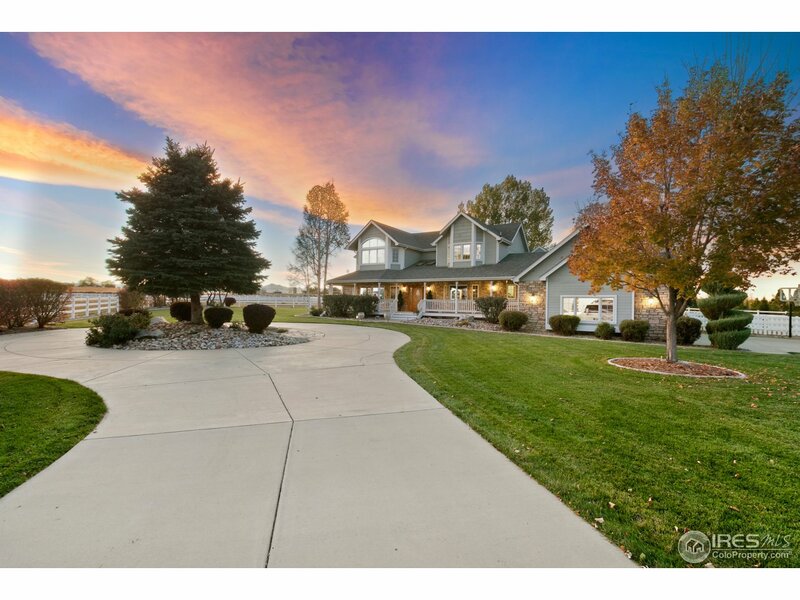 Stunning architecture w/vaulted ceilings and amazing, unobstructed front range views! New carpet and drapes in the master bedroom & office. Upgraded kitchen and master bath. Huge wrap around deck with built-in gas grill. Finished walk-out basement with wine room, steam shower and room to finish a 4th bedroom. There is an irrigation pond for watering the 38 acres. Ten shares of Big T & 2 shares of Supply Ditch included." "MAJOR PRICE ADJUSTMENT! Custom estate home on serene 5.15 acres with old growth trees & frequented by local flock of wild turkeys & Landmarked with your own silo. Fully remodeled home features Borghini quartz counters, Hi end appliances, custom bath tile, and master steam shower. Over sized 3 car gar. has a loft/office/4th bdrm. above garage with outside entrance. On Little Thompson district water, but includes domestic well permit too. Tilt up concrete construction. On very popular bike route." "The Orchard House estate on 35+ acres is a mid-century jewel, designed with the intent of bringing families together. It provides the perfect blend of harmonious family locations with nooks for personal projects and reading. Live in the peace and abundance you have earned and deserve. Sleep just comes a little more easily when your personal space is surrounded by cottonwoods, apple trees and the quiet outdoor beauty that is Colorado. Connected to the world by proximity to Boulder." "This home has it all: warmth, space, views, privacy,and the best layout very close to the swim club. This home feels cozydespite it's large size and has everything you need. All 4 bedrooms uphave private baths, and includes a separate hangout space to cuddle upand read or watch TV. The master suite features it's own office, daybednook with stunning views, and two large walk-in closets. Downstairs is adream with musical stage, 2 bedrooms with baths, wine cellar and plenty ofstorage." 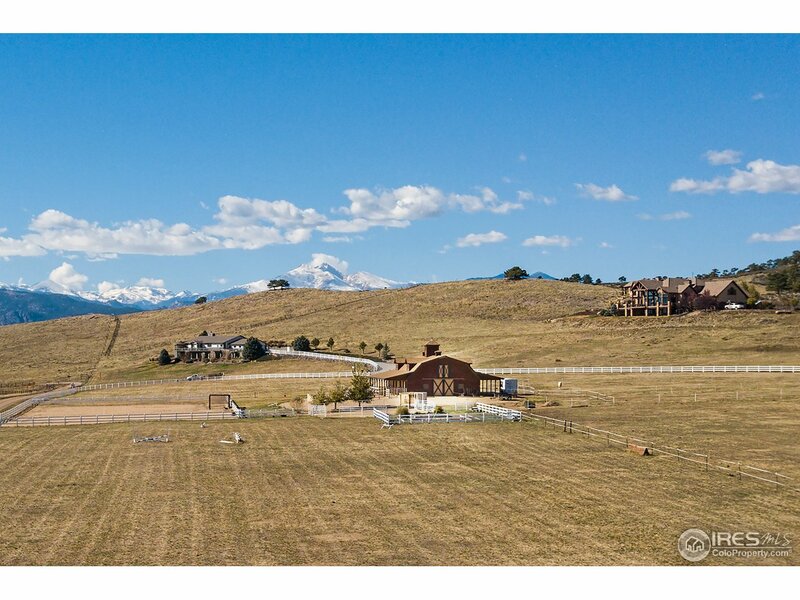 "This Lagerman Estates home offers the most expansive views in Boulder County! Indoor/outdoor entertaining, swimming pool & enclosed hot tub area overlooking beautiful landscaped property. Accessible main level BR. Beautiful Master Suite with massive bathroom and walk-in closet including separate shoe closet! Many more custom features. Minutes to Boulder. Contact agent for info packet and see virtual tour." "Price Reduction just in time for Spring/Summer enjoyment! 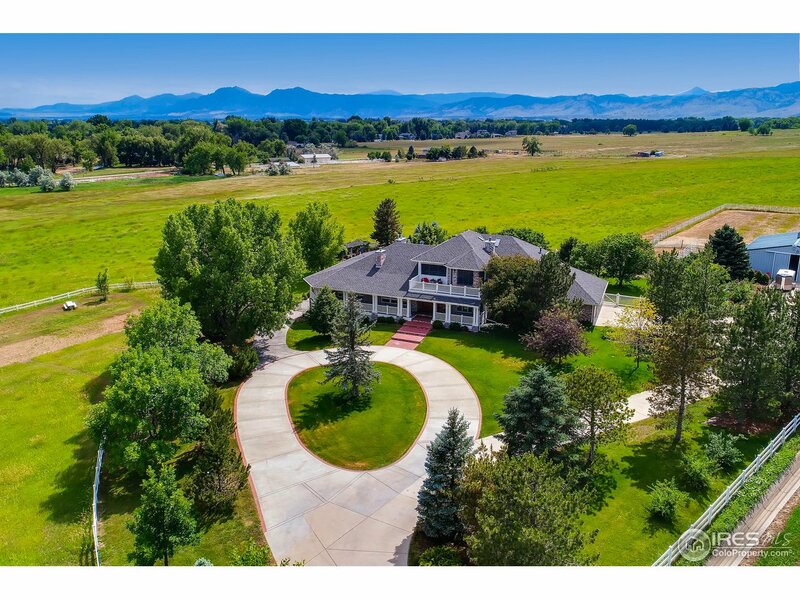 Close-in country estate has it all, Little Thompson River frontage, spring fed pond, meadows, lush lawns, gardens, pastures and ever changing sunsets w/views of Longs Peak. Wonderful French Country feel melds old world charm w/ modern amenities. Beautifully remodeled w/ 8' divided light doors, Antique French shutters, flagstone, reclaimed wood floors, Hand hewn ceiling beams and Antique Spanish doors. Septic sized for 5 bedrooms." "Live, Work & Enjoy! Custom home, 6160 SF multi purpose shop, 3046 SF Ag office, 5440 SF greenhouse that needs repair & plenty of storage. This well planned home features vaulted ceilings, open floor plan, built-ins, finished walkout basement & second study/office. A large deck compliments the main level with lower level patio adjacent to professionally landscaped grounds. Enjoy country living, great views and spectacular sunrise. 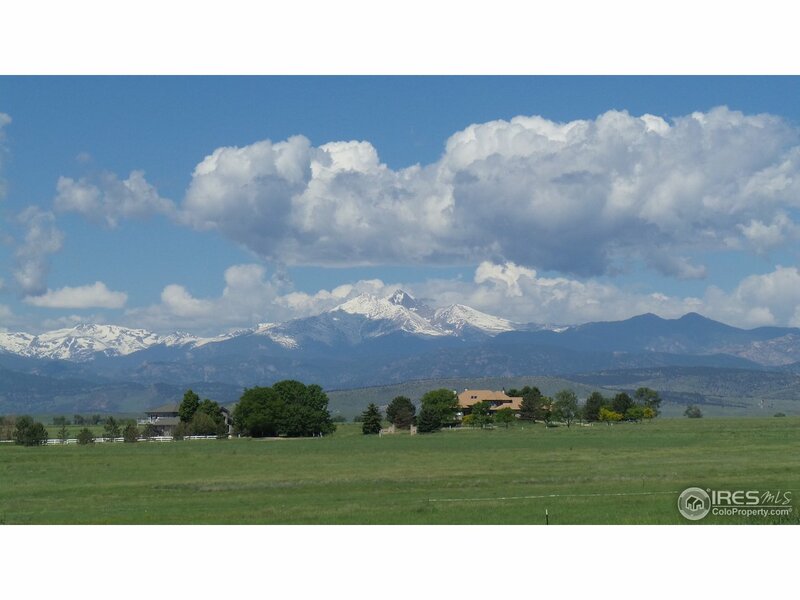 A must see, well-located versatile Boulder County property!" 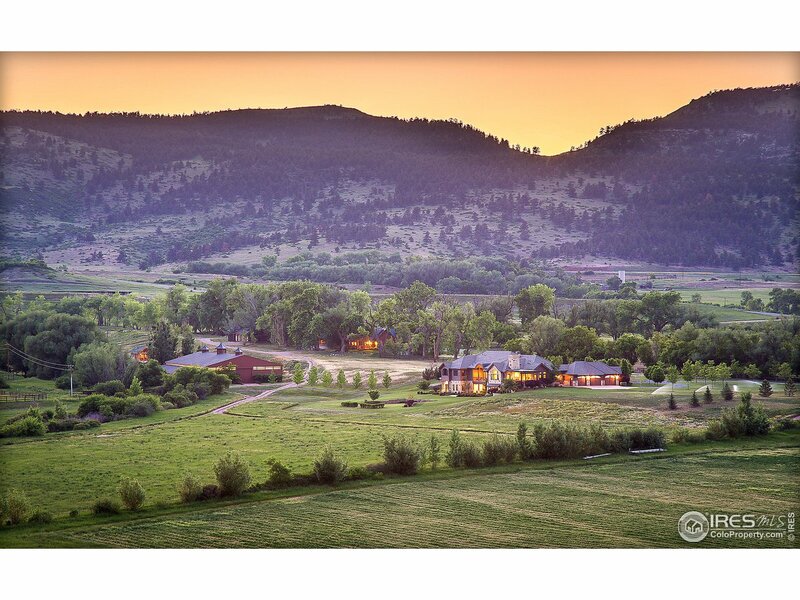 "PRIVATELY GATED 5 ACRE ESTATE IN BOULDER COUNTY. ORIGINAL HOMESTEAD IN 1987, COMPLETELY CUSTOM REBUILT IN 2001. VIEWS OF LAKE & MTNS! 2 STORY DIN RM. GREAT OPEN GOURMET KTCHN TO DIE FOR, PROF APPLIANCES, SLAB GRANITE COUNTERTOPS. UNIQUE ART WORKS IN GREAT ROOM. 1000 SQ FT MSTR SUITE W/9 PIECE BATH & CUSTOM WALK-IN CLOSET. REC RM CAN BE GREAT HOME THEATER. SECURITY SYSTEM & BUILT-IN AUDIO SYSTEMS THRU-OUT. MANICURED YARD W/3 WATER FEATURES. 1500 SQ FT COURTYARD PATIO."